Maya Crockett had a successful acupuncture clinic in Allen, TX, for many years. 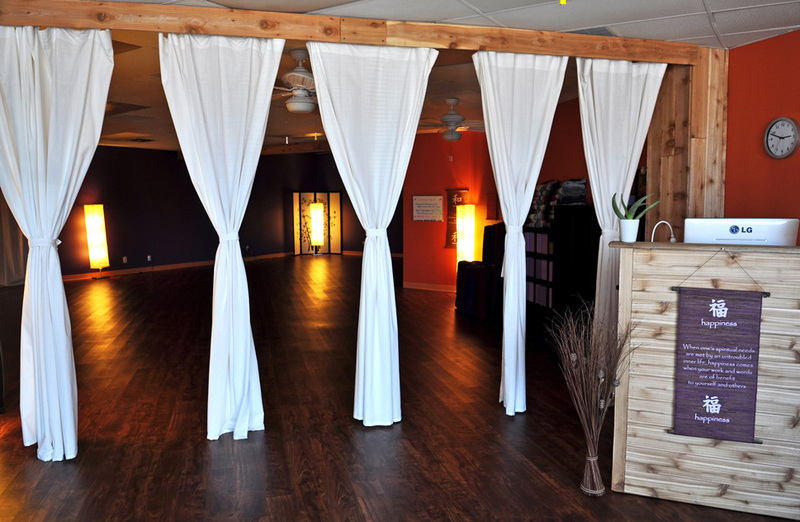 In 2015, she was excited when the perfect space for the addition of a yoga studio opened up next door to the clinic. Grateful Yoga was born. 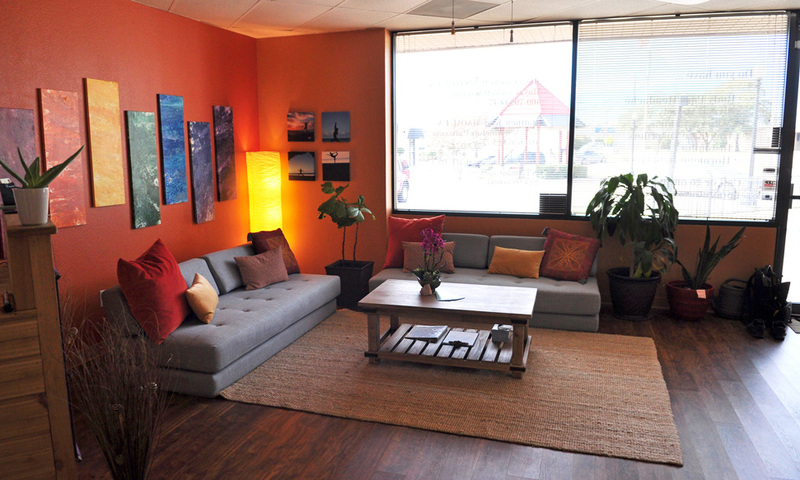 When Maya lost her husband and business partner in 2017, she wanted to scale down, and move the studio into the same space as the clinic where the two enterprises would share a reception area. 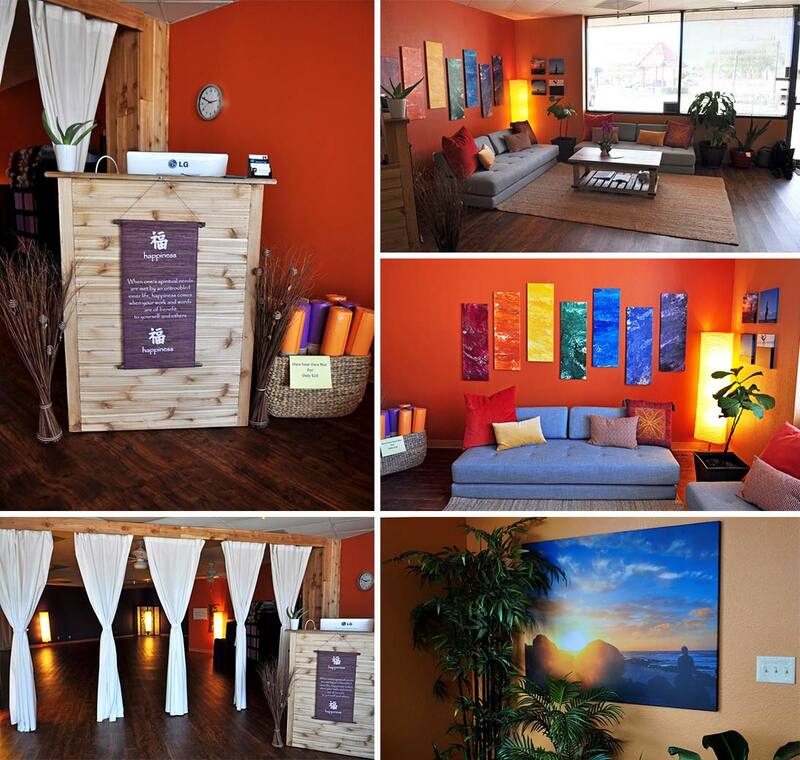 Inspired Interiors was tasked with transforming a mostly empty space into a warm, relaxing environment for both acupuncture patients and yoga students. To create the harmonious waiting room, Meg created a floor plan, and executed it designing and installing the furniture and accessories. For the reception desk, Inspired Interiors called upon a local builder; she provided inspiration photos and specifications and together, they accomplished a unique piece for the space. 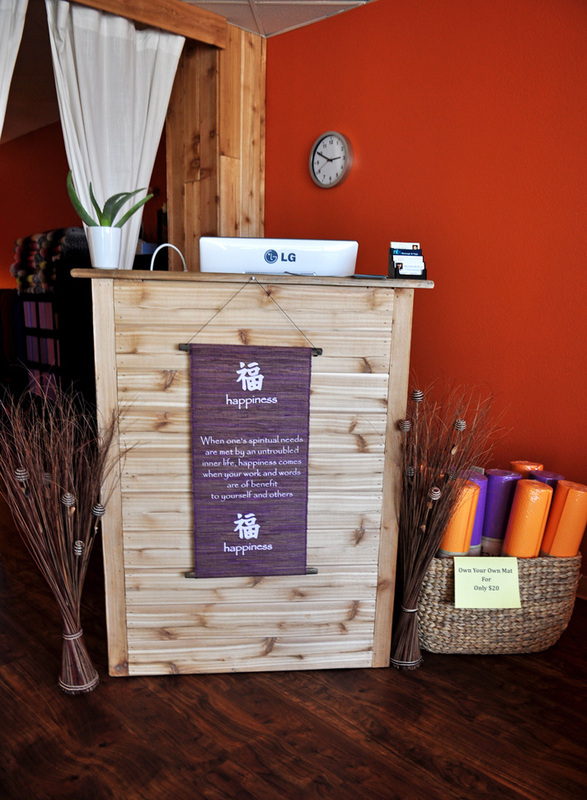 Harmony, peace, Zen: our design choices were informed by these ideas. 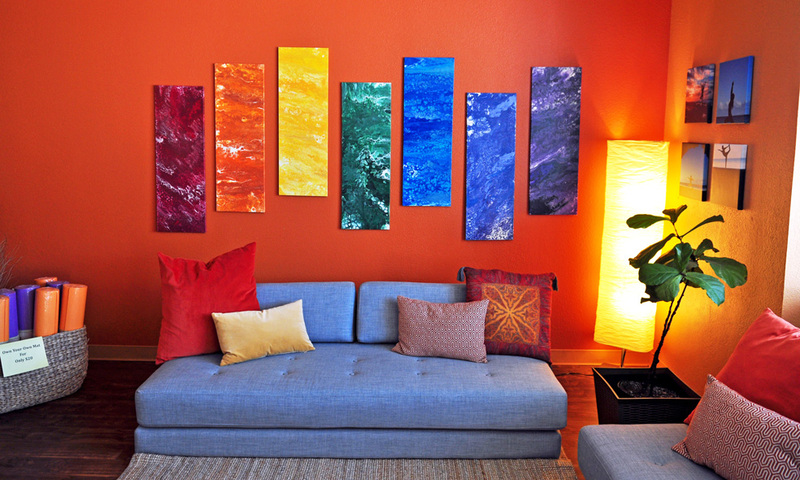 Selection of meditative, reflective photography and artwork resulted in surroundings where clients would comfortably wait for a yoga class or an acupuncture session, while relaxing and communing with others doing the same.